I will describe the new guidelines for colon and rectal cancer screening and demonstrate how they can be utilized to either defend or prosecute a medical malpractice case. Emphasis will be placed on evidence based medicine, standard of care, and causation. 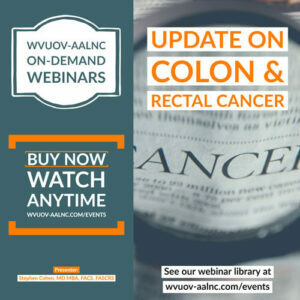 Understand the new guidelines for colorectal cancer screening. Determine if and when a colonoscopy met or fell below the standard of care. Delineate the difference between a screening colonoscopy and when a colonoscopy is indicated for symptoms. The rates of morbid obesity have reached epidemic proportions in many countries around the world. In the United States, for example, more than one-third of adults have a Body Mass Index of more than 35. As a result of the increase in morbid obesity, the number of bariatric surgical procedures performed worldwide has increase as well. For many patients, these procedures result in sustainable, long-term weight loss and a reduction/remission of many obesity-related comorbid conditions. These procedures, however, can result in a unique set of complications in this patient population. Many of these complications are difficult to diagnose and treat. Failure to act promptly with definitive treatment may result in significant morbidity or mortality for the bariatric surgical patient. 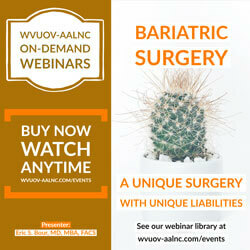 This discussion is intended to educate the listener on the preoperative preparation of the bariatric surgical patient, review the common surgical procedures performed today, outline the significant complications that may result from bariatric surgery, and review the potential liability resulting from misdiagnosis or delayed intervention. Understand the preoperative preparation for bariatric surgery. The common bariatric surgical procedures, complications related to bariatric surgery. The liability of misdiagnosis or treatment of these complications. 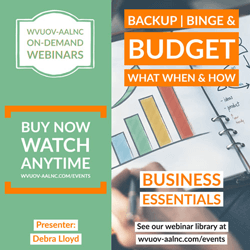 What to backup, binge on, and budget for, to save your business & your sanity! Avoid the pitfalls of not backing up your work and your systems properly and often. Learn how to identify and avoid "shiny object syndrome" and binge on the things that will help you grow your business. Discover how a budget will help you grow your business and find the tools to help you put a realistic budget in place then stick to it. Understand various and specific options to backup and protect your work product and computer systems providing fast recovery solutions from worst-case scenarios such as system crashes, theft or fire. Know the best ways to identify and evaluate courses, software and systems that will help you focus on growing and/or scaling in order to achieve your specific business objectives. Appreciate the advantages and importance of having a realistic budget from the very start of your business, what is truly essential and what is optional. A selection of tips and tools you can use to create and manage a realistic budget for your business going forward. Dental malpractice affects thousands of people each year. According to the National Practitioner Data Bank (2004-2014), 15% of medical malpractice claims involve dentists. 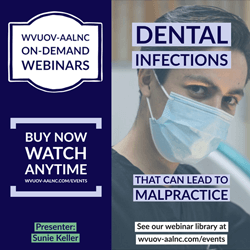 This webinar will describe some common dental infections and some not so common. Understand common forms of dental malpractice. Understand which specialist should be treating certain dental cases. We appreciate your patience as we rebuild the webinar replay library after our recent site rebuild. All past webinars will be available from this page for those who purchased on or by April 10th, 2019.